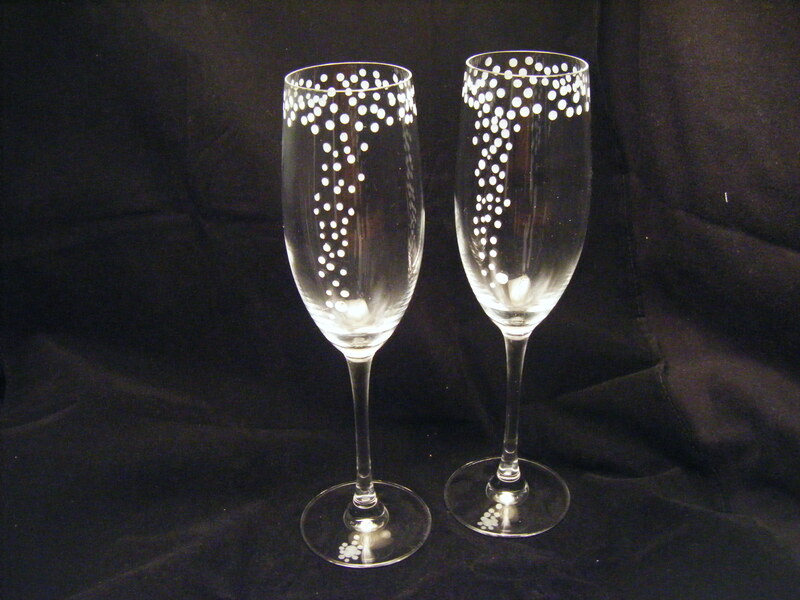 Weddings & Occasions: "Fizzing Bubbles"
Description 9" champagne flutes with "Fizzing Bubbles" motif, exclusive to Sean Egan Art Glass. Sold a set of two. Ideal engagement or wedding present with personalized engraving at no extra cost.